June 2016 – Waterton Lakes National Park in Alberta, Canada, is the northern tip of Montana’s Glacier National Park, and the two adjacent parks are united across the border of Canada and America as an “International Peace Park.” We’d heard rumors over the years that it was really beautiful, but when we got there, we found it is much more than that. Waterton Lakes National Park is breathtaking! Here’s the view that greets visitors as they drive into Waterton Lakes National Park. Incredible!! Where we had found that the four Canadian Rockies National Parks surrounding Lake Louise and Banff are awe-inspiring, with bold, jagged soaring peaks, and stunning scenic drives on internationally renowned highways, with big, trendy towns that give the international public easy access to all there is to see, and while the Kananskis is a spectacular area beloved by locals from Calgary, Waterton Lakes offers yet another twist on Rocky Mountains travel — eye-popping beauty in a remote locale that is intimate and charming at the same time. 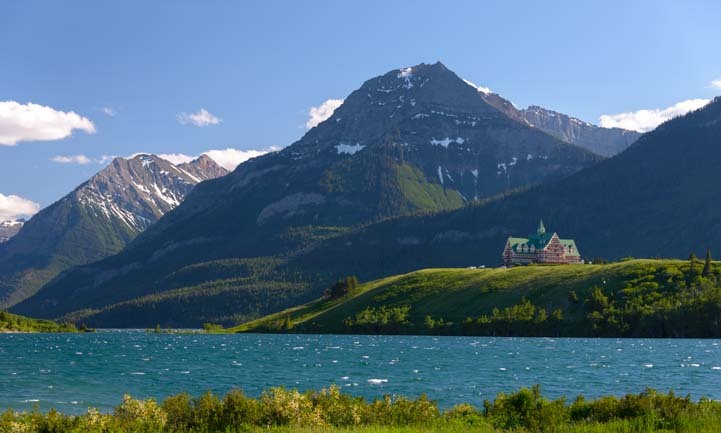 The glorious Rocky Mountains undulate around the long and narrow Waterton Lakes, and the historic Prince of Wales Hotel stands on a bluff in the middle of it all, completing Nature’s masterpiece with flair. The historic Prince of Wales Hotel is a stunner. The Prince of Wales Hotel is as grand inside as out, and as we wandered around inside we were floored by the dining room where you can enjoy a meal with an incredible view out enormous plate glass windows. 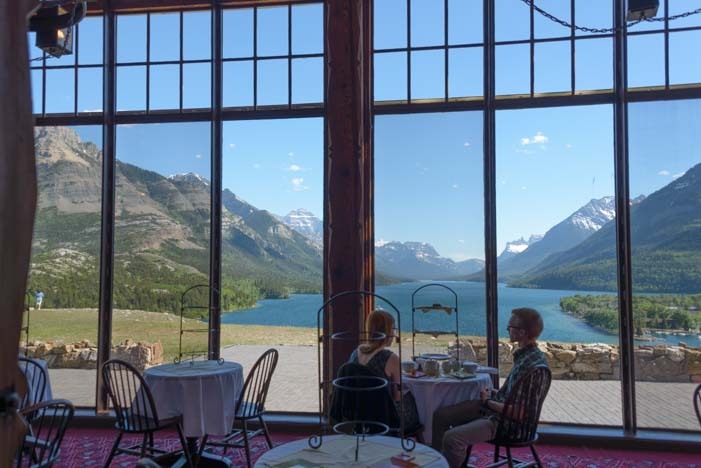 Fine dining with a view — or High Tea if you wish! 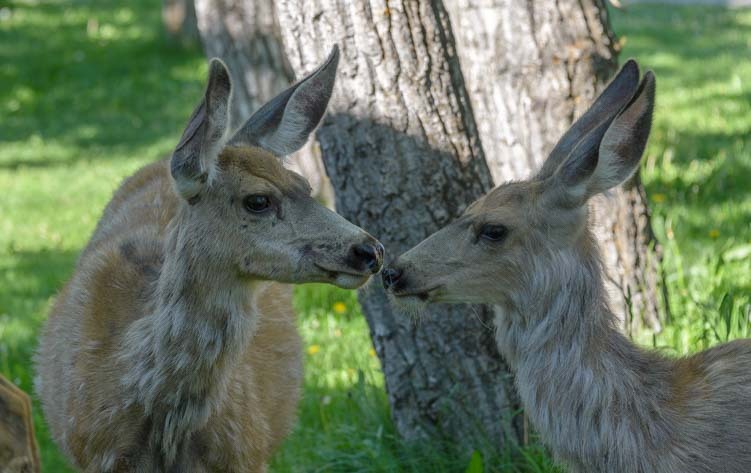 A little beyond the hotel is the adorable village of Waterton. This cozy little community sits on the shores of the lake. At one end there’s a small marina. 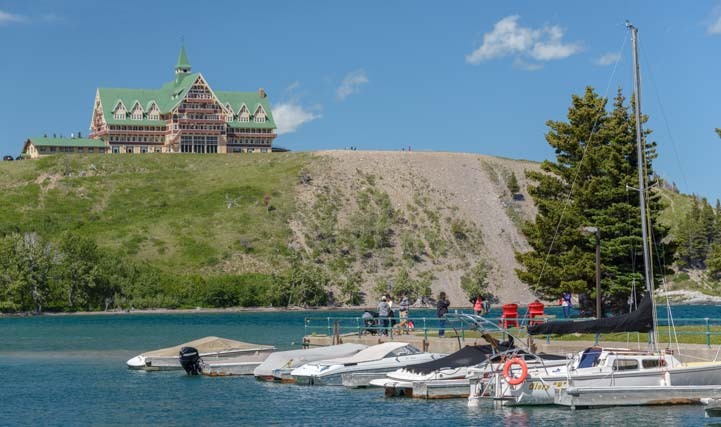 There is a little marina just below the Prince of Wales hotel in the village of Waterton. This is a great spot to launch a kayak, and we saw quite a few people enjoying them. Here’s a nice way to get out on the water. 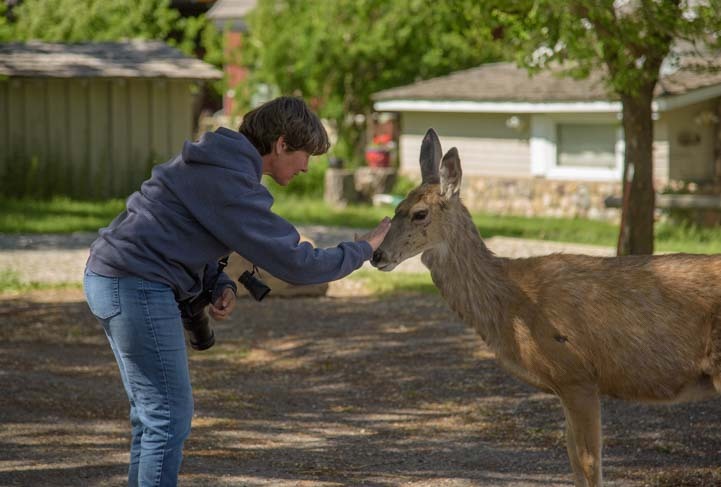 The community here is very small and very tight knit and it is situated right in the heart of the National Park. 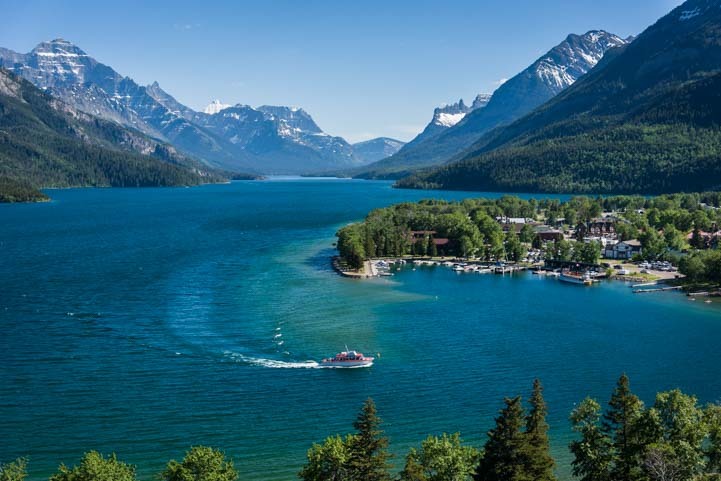 There are just a handful of hotels and one campground, and the whole of Waterton Lakes is miles from anywhere, so anyone coming here generally stays for a few days or a week. Faces become familiar in no time!! 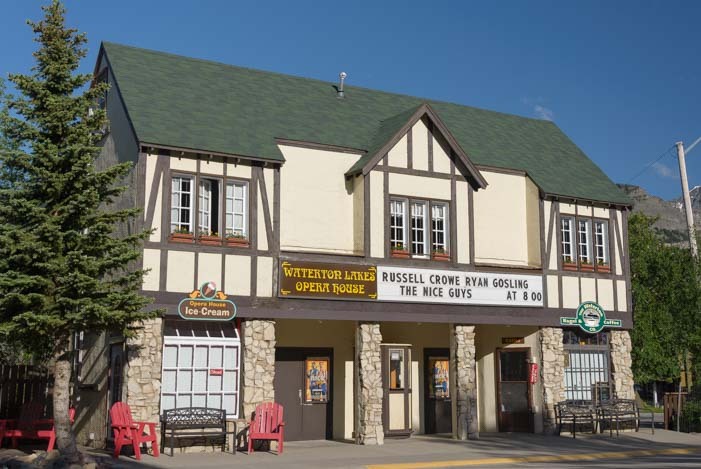 The Waterton Opera House shows all kinds of movies, and it made for an ideal spot to spend a blustery “indoors” afternoon. Next door, the Waterton Coffee and Bagel shop became a frequent haunt for us in the mornings during our stay!! 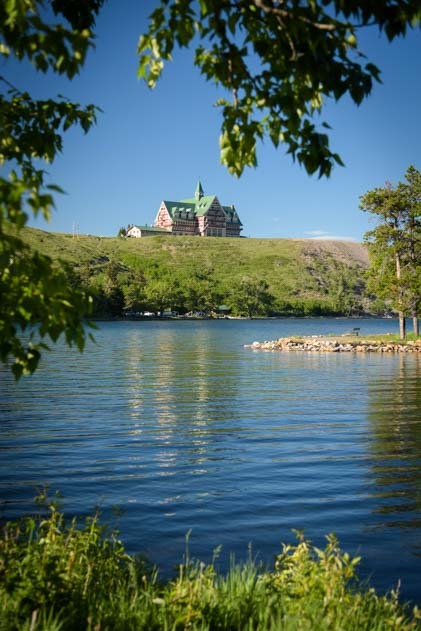 Waterton Opera House is a great way to go. 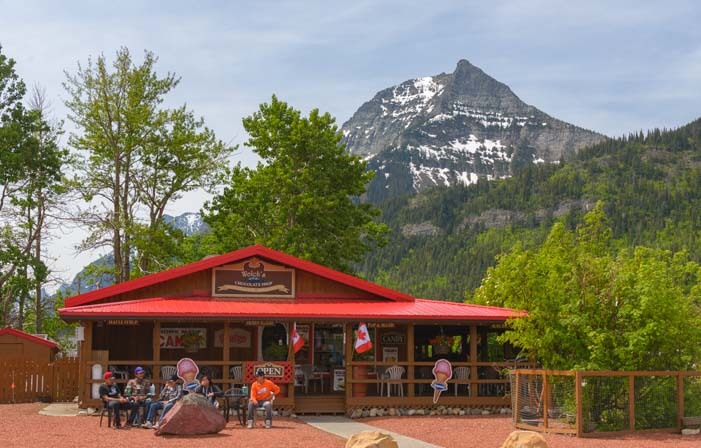 There are lots of restaurants and bistros in Waterton, as well as a small grocery store and even a laundromat. Be forewarned, though, that prices are astronomical. Provision up before getting here, and don’t be surprised if a pint at the super cute restaurant overlooking the lake is C$19. We paid a Loonie (that is, C$1) for every two minutes on the dryer at the laundromat. 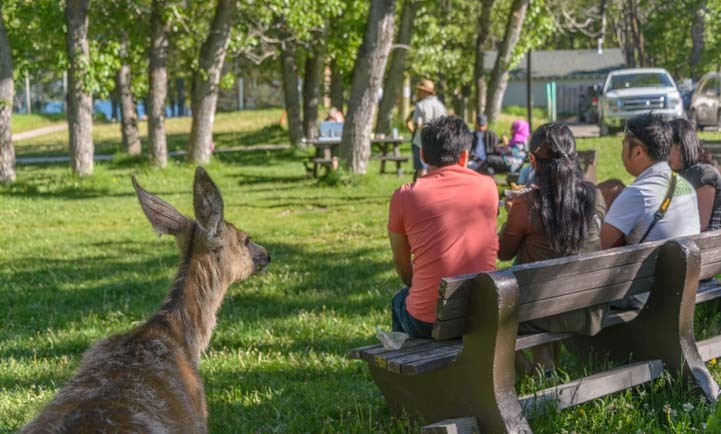 For tips on currency exchange, gas prices and Parks Canada annual passes, see our blog post: RV Tips for Going to Canada. One of many little eateries around town. 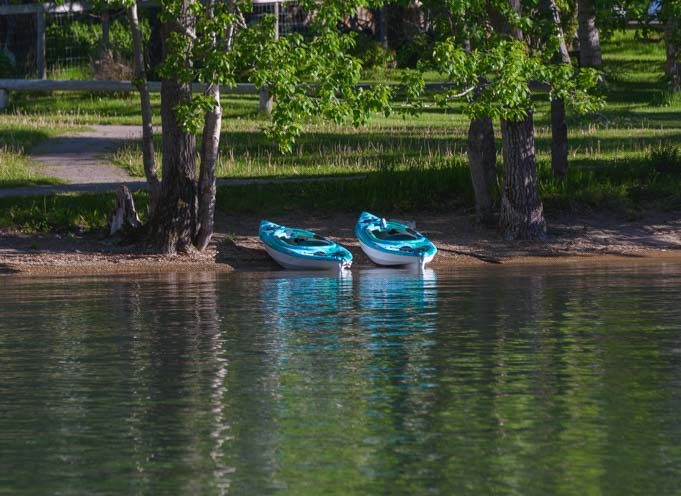 The Townsite Campground is beautiful, and there are lots of sites that back right up to the waterfront. 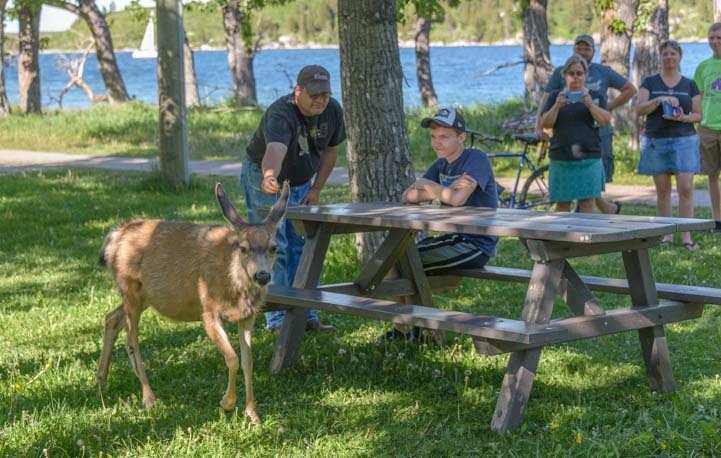 Unfortunately, the entire Park is undergoing renovations this year (2016), so the waterfront loop of the Townsite Campground was closed during our stay. Also the two primary roads that lead to the best hikes and bike rides were also closed during our visit (see the link at the bottom of this post for current closures in the park). The Townsite campground is delightful. 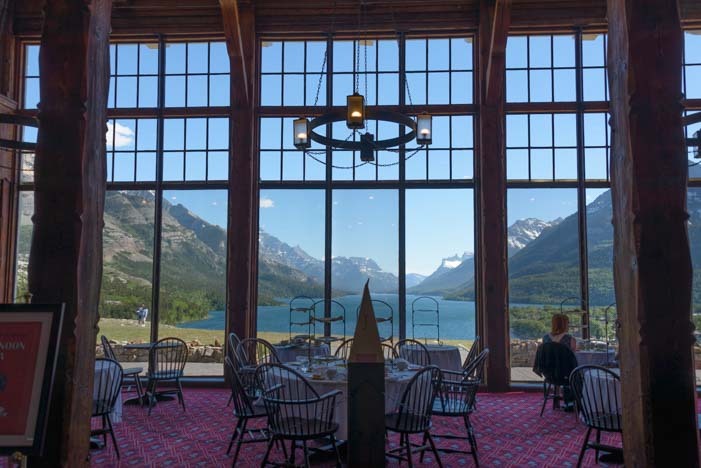 But even with only a portion of Waterton National Park open, it was an awesome place to explore, and we stayed for two weeks. We weren’t the only ones sticking around. 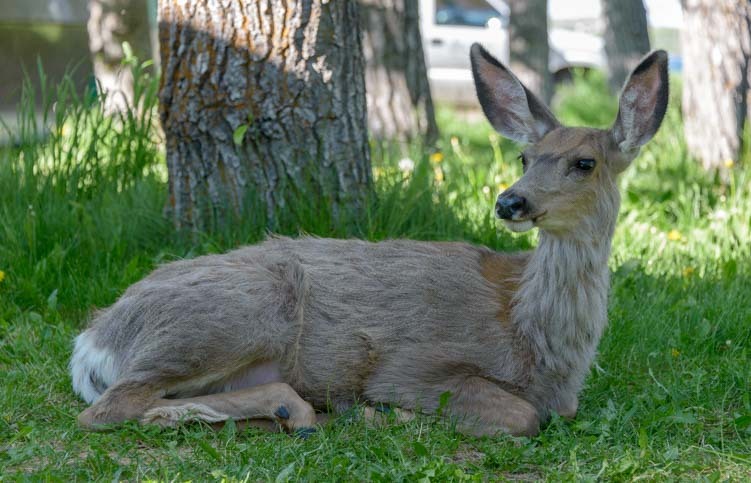 A herd of resident deer likes Waterton so much they’ve moved right into town. 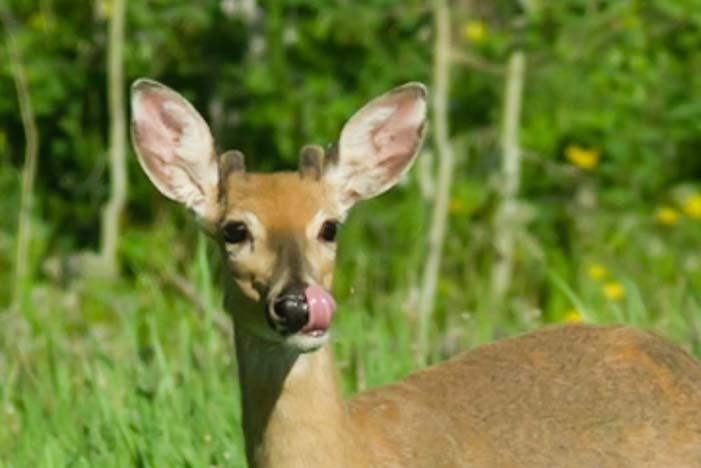 How many deer do you see in this photo? They like the shady spots around town, and they seemed to be under every bush and alongside the shady side of every house. These guys are not afraid of people at all. They went about their business, doing their deer thing, as the people around them went about theirs, doing their tourist thing. They had absolutely no qualms about people, and they entertained a good sized crowd in the main waterfront park one Saturday afternoon. 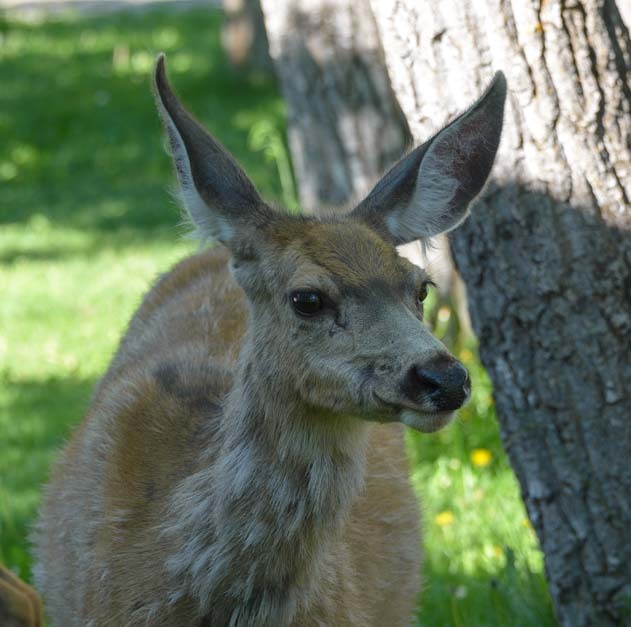 The deer roamed between the picnic tables in the town park. These guys are so tame you can walk right up to them and say hello! I even got to pat one on the nose… how fun!! 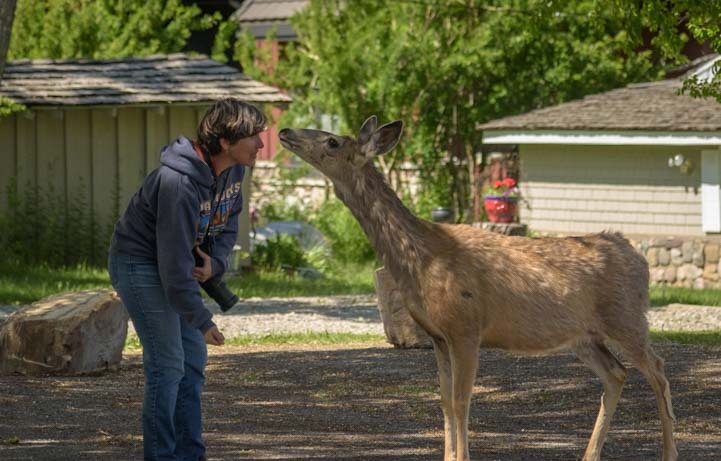 I’ve never petted a deer that wasn’t in a pen. Cool! These guys probably hang around because they can get free treats. Just behind all the deer action at the town park, the views out onto Upper Waterton Lake were gorgeous. Waterton Lakes is absolutely stunning. What a lovely place to go out for a sail! We noticed that the wind always picks up in the afternoon and is usually quite strong, funneling up the lake between the mountains. Every afternoon the wind picks up and the sailors head out. 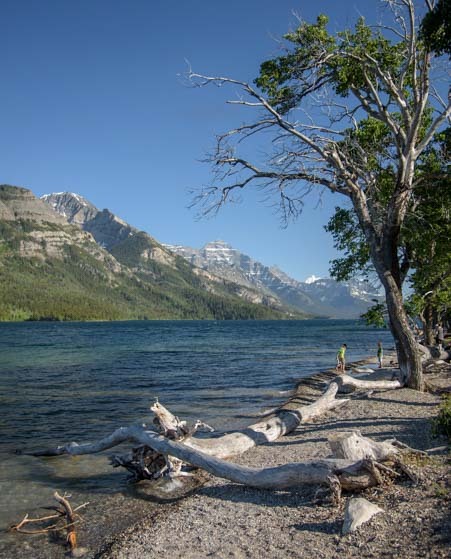 Waterton Lakes National Park is incredibly scenic and accessible and is very peaceful too. 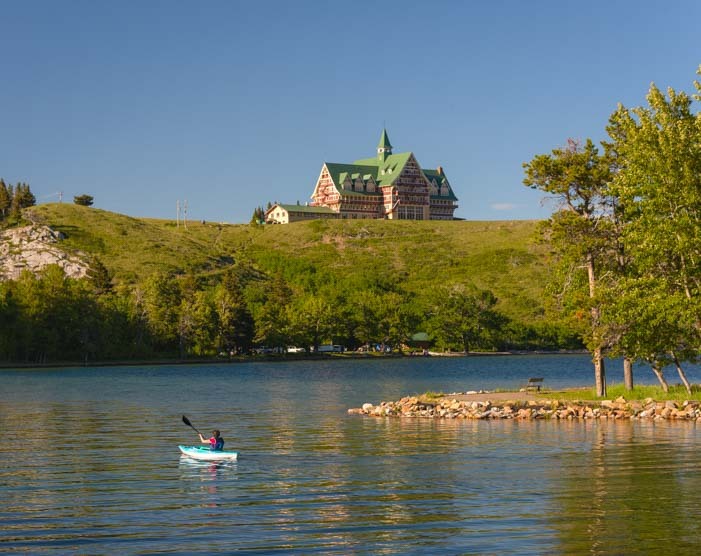 We loved Waterton Lakes National Park and we stayed for a nice long visit. 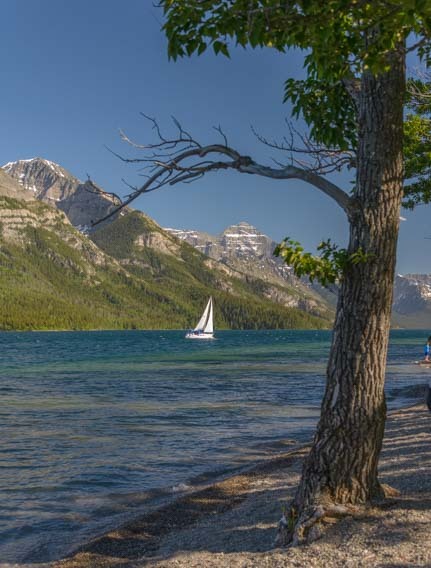 Waterton Lakes National Park is a fantastic destination for an RV trip. 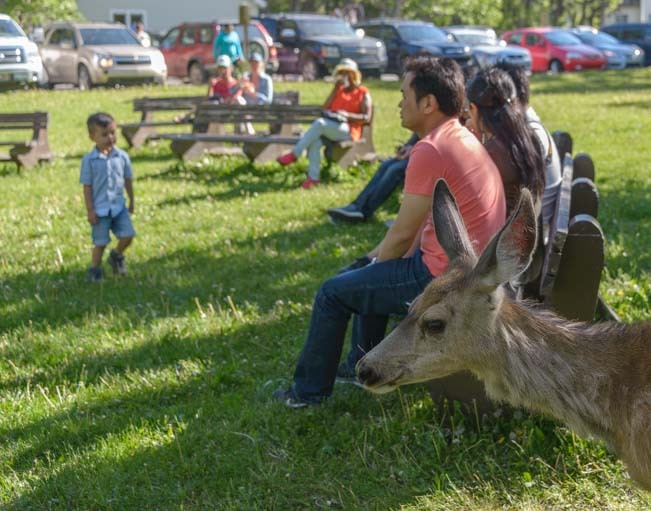 When we were there in early June, the Townsite Campground had openings every night midweek, but it was generally necessary to reserve a spot on the weekend. It is a short walk to town, there’s a shower building and flush toilets, and amenities ranged from no hookups to full hookups (eletric/water/sewer). 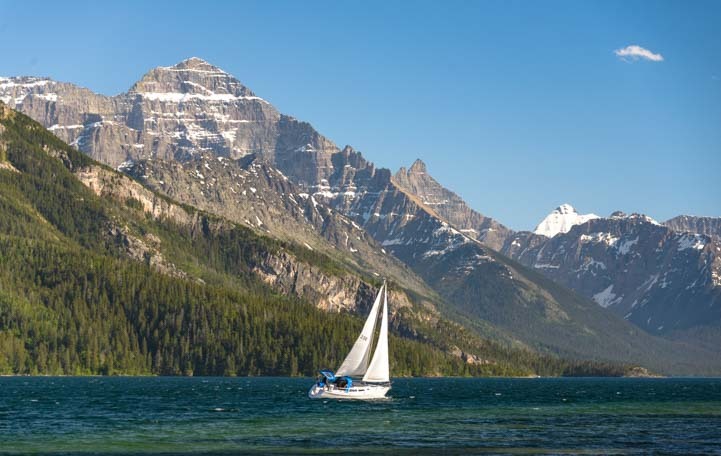 This entry was posted in Canada and tagged Canada, Canadian Rockies, National Parks Canada, New, Travel, Waterton-Glacier National Park, WP Travel by Roads Less Traveled. Bookmark the permalink. Totally agree. Waterton is a hidden gem. Too bad the Red Rock and Cameron Lake roads were closed when you were there. Some of the best mountain hikes in the world start up those roads like Carthew – Alderson and Akamina Pass. We will be back — this is a place we could return to many many times! !